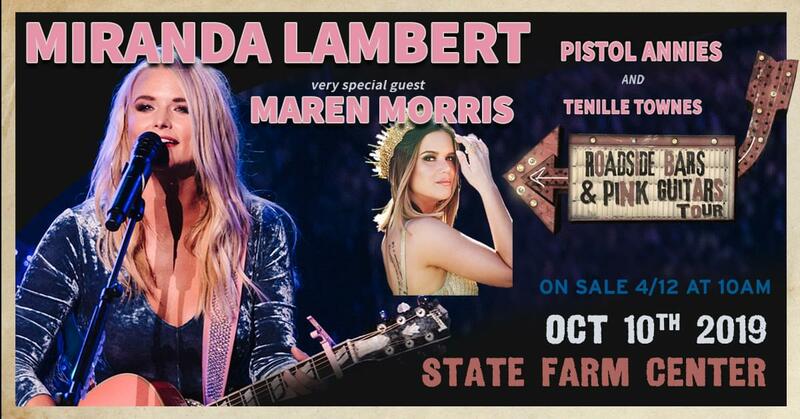 Miranda Lambert brings her Roadside Bars and Pink Guitars tour to Champagne this Fall. 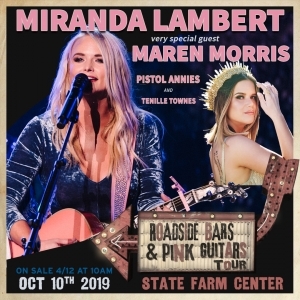 Coming to the State Farm Center on Thursday October 10th is Miranda Lambert with Maren Morris, the Pistol Annies, & Tenille Townes. Tickets go on sale Friday April 12th at 10am.